I always have a water-resistant camera with me when fishing, to record the day or perhaps even get a good picture or two. 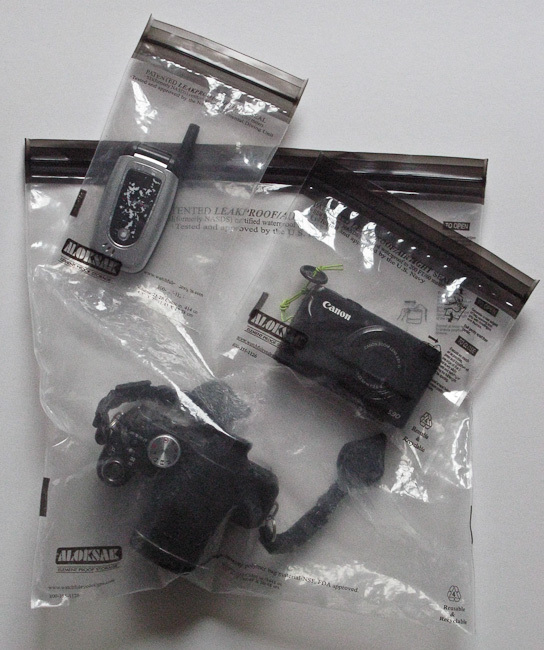 However, most people leave their cell phones and cameras in the car to avoid getting them wet. That's a good idea. But there are times when it would be nice to have these devices with you. 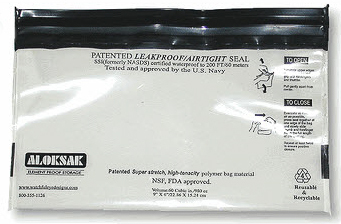 A couple of years ago I found relatively inexpensive and heavy-duty leak proof zip lock bags at a Web site called http://www.thewaterproofstore.com/. I bought a multi-pack selection of four Aloksak bags (direct link: http://www.thewaterproofstore.com/aloksakmulti.html) for under $12, the largest of which is 12" x 12". The store has quite a few other nice products as well. I have no connection with the company. The image below shows my old Panasonic ultrazoom camera, a small Canon not-waterproof point and shoot camera, and my old and still-in-use cell phone. The fourth bag in the kit has gone missing *LOL*. I bought a few more multi-packs last December. They make great gifts for your fishing buddies, or perhaps stocking stuffers for outdoorsmen/women in your family.